Breaking Bad is an American crime drama television series created and produced by Vince Gilligan. It tells the story of Walter White who turns to a life of crime. 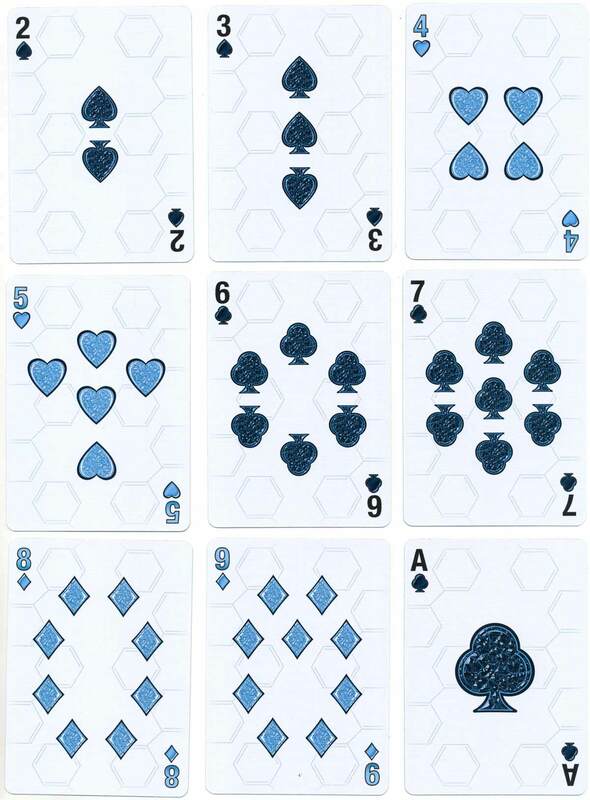 His family members and associates are depicted on the customised court cards, jokers and ace of spades in this ‘Blue Ice’ edition of the licensed deck designed by Albino Dragon. 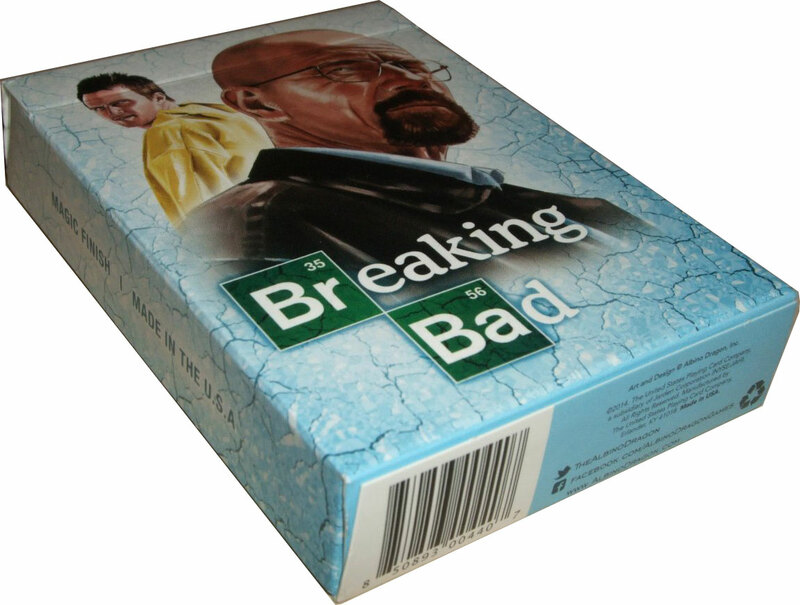 The chemical structure in the background refers to Walter’s illicit methamphetamine production, and "Blue" is a street name for the higher quality product in the TV show. 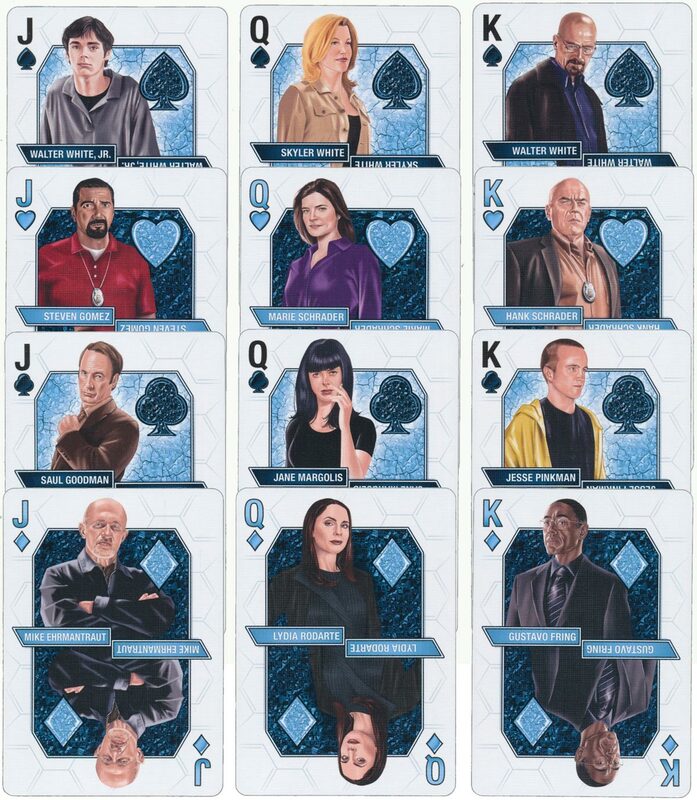 Above: “Breaking Bad” Blue Ice edition fan deck designed by Albino Dragon and manufactured by the USPCC in 2014. The deck has a textured ‘Magic Finish’ that allows cards to handle smoothly. Images courtesy Matt Probert.